Please be aware that the cemetery office will only help with photo requests made by family members. Volunteer photographers may be turned away if they do not have some evidence that a family member is requesting the grave photo. 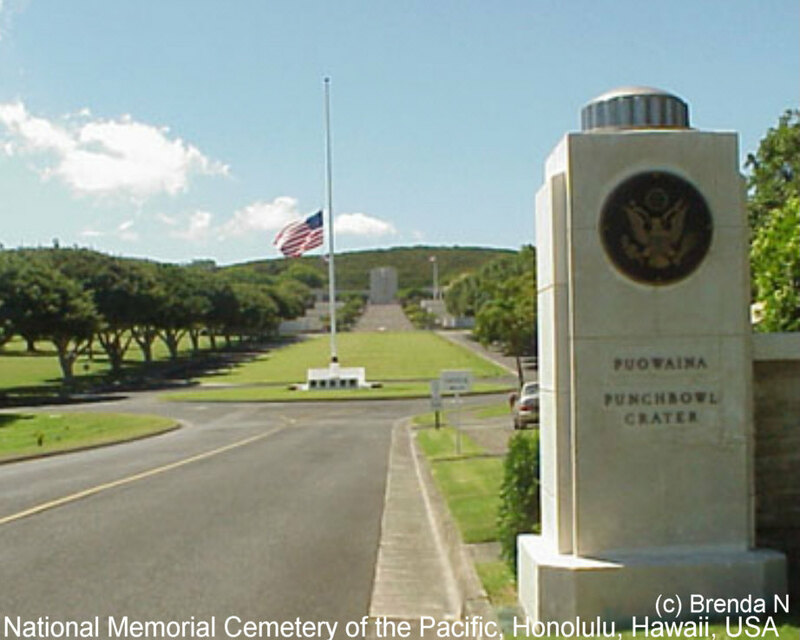 Nearly 13,000 World War II Dead from the Pacific are buried here. They came from such battle sites as Pearl Harbor, Guadalcanal, China, Burma, Saipan, Guam and Iwo Jima and from the prisoner of war camps in Japan (recovered after the war). Also interred in the cemetery are the unidentified remains of U.S. servicemen who died fighting in World War II, Korea, and the Vietnam Wars. Also the Dead of World War II and the Korea and Vietnam Wars whose next of kin requested that they be buried here. NOTE: The Honolulu Memorial, displaying the Tablets of the Missing, is located within this cemetery but listed separately on Find a Grave. Please do not enter duplicate memorials here.